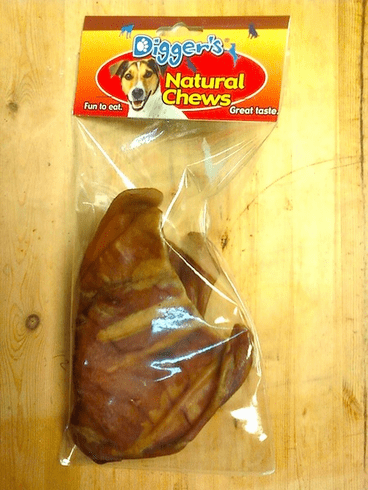 A tasty treat of real smoked pig ears! Includes 2 ears per pack. Each ear measures aprrox 5"